A revenant is a person who comes back from the dead…a ghost. In Alejandro Inarritu’s The Revenant (2015), audiences encounter a man of the year 1823 who simply refuses to die: trapper Hugh Glass (Leonardo Di Caprio). In essence, he returns from the dead multiple times. Driven by the specter of his dead wife, a beautiful Pawnee, and his murdered son, Hawk (Forrest Goodluck), Glass endures and survives physical challenge after physical challenge. Glass is compelled to survive by visions of his loved ones, but also by the Earthly demand to enact revenge on one person, the selfish murderer of his boy: John Fitzgerald (Tom Hardy). At the end of his harrowing journey, Hugh Glass also comes to a reckoning about revenge, and the fact that, finally, it is not in his hands to enact…and nor should it be. Birdman (2014) and The Revenant (2015) are such very different films -- with different aims -- and yet both are cinematic masterpieces. Birdman is an incredible, funny, multi-faceted commentary on the dichotomy between pop art and high art, and the way that one actor navigates it. 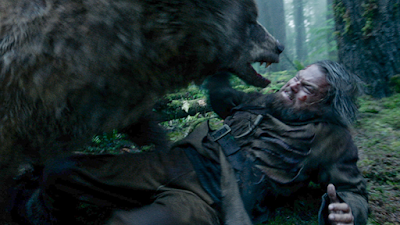 Thanks to its breathtaking photography and performances, The Revenant is absolutely beautiful to behold. It is a haunting, throttling vision of the world that "was." coupled with the frightening imagery of the world that "will be" (epitomized by a mountain of buffalo skull). 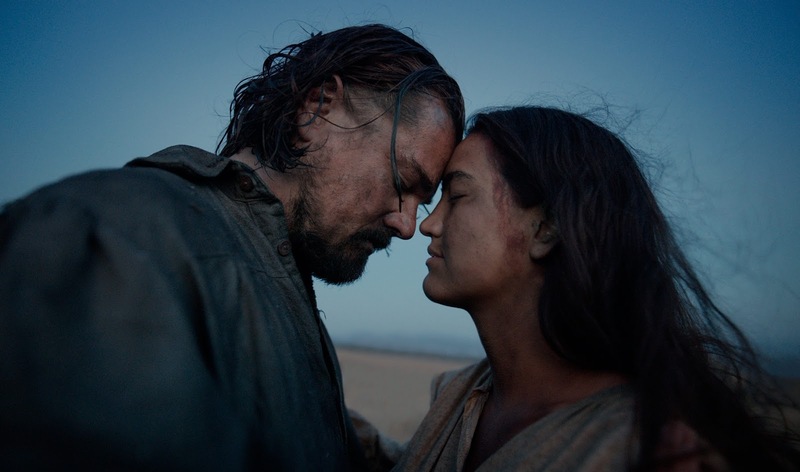 Perhaps The Revenant is less overtly an intellectual or cerebral experience than Birdman was, but the remarkable consolation is that this film feels entirely more visceral. I am aware that some viewers apparently feel that The Revenant is more like an endurance test than it is a fully-fleshed out movie narrative. I would debate that assumption. The Revenant very much concerns a man who will do anything to achieve a particular end -- revenge -- only to learn that his life's purpose is finally, bankrupt. That bankruptcy, meanwhile is also seen in the film's depiction of capitalism (represented by the mountain of dead buffalo.) But the overall idea is about the human experience; the notion that we run around, every day, trying desperately to achieve ends that, finally, are irrelevant in the face of nature, or in the face of mortality. But first thing's first. There is no doubt that The Revenant is absolutely compelling --and gory -- and appears authentically as though it is was filmed on another planet (or at least in another time period). I have tried to locate and harness the best words to describe Emmanuel Lubezki's cinematography but keep coming up short. I keep returning to "miraculous", or "near miraculous." 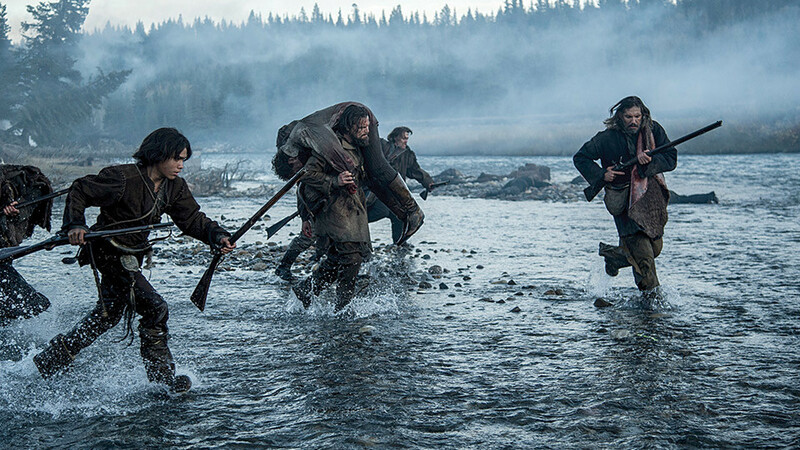 So much of The Revenant's artistic success depends on its depiction of the untamed world, and the plight of those men seeking to tame it. On one hand, I am relieved to know that such untamed beauty still exists on this planet, and was available to be filmed. On the other, I am dazzled and impressed by the production team, and its efforts to bring this world to our movie theaters and TV sets. It's not just the landscape, or rather the visual presentation of the landscape that is stunning. If it were, we could achieve the same delight from viewing a painting, or a photograph. Instead, Inarritu's staging of the action in this untamed world is simply breathtaking. The film’s opening attack on Glass’s trapping party by an Arikara hunting party, for example, is a masterpiece of brilliant staging and editing. Watch, for example, how Inarritu’s moving camera constantly erases the old foreground and creates a new one in the frame. He works in this fashion so that objects (and fierce attackers) may dart into view, surprise the viewer, and thus suggest the sudden, brutal nature of the attack. Since the foreground keeps shifting -- always in motion -- the assault on the senses keeps coming. There is no "safe" zone in this attack. The attack isn't brief. Attack is perpetual, sustained and unrelenting. At least that's how it feels to the senses. Considering the idea of a frontier --- and the unknown encroaching on all sides -- this is perhaps the perfect application of a moving camera. We feel, on a visceral level, what it means to be under siege in the wilderness, and by those who know the land better than we do. We might flee, and we might run, but the incursion keeps violating the sanctity of the frame and therefore our sense of comfort or safety. Other moments also legitimately qualify as stunning. Glass rides a cresting waterfall…and survives. He endures a brutal bear attack…and survives. He races across an icy plain on a horse, and rides his steed over a mountaintop…and survives. Each of these moments, on its own, is jaw-dropping in the extreme. I cannot stress enough how convincing, how amazing, how immersive, these moments are. I appreciated every single set piece. The action in the film is incredible. I suppose the opposing point of view here is that these moments, immersive as they may be, do not add up to a believable experience. 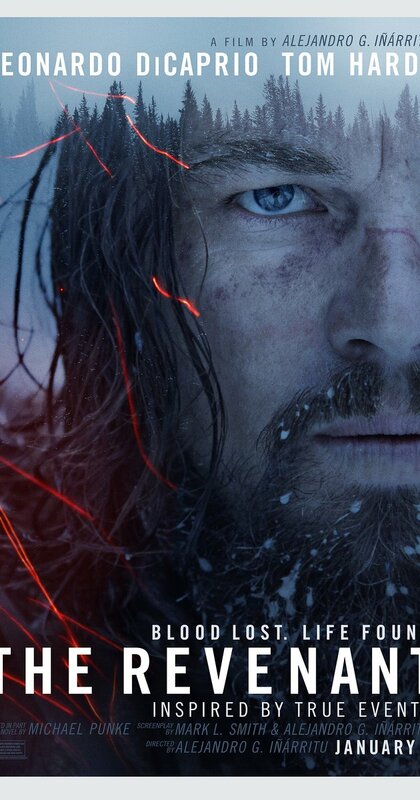 The critics of the film would tell us that in The Revenant there’s chance. There’s luck. There’s incredible good luck. And then there’s Hugh Glass. Perhaps this is the point where the director's facility for magical reality comes into play and ameliorates such concerns. Glass is supposed to be a “revenant,” someone who has returned from the dead, and it is clear that he is impelled to survive by his driving quest, his need to avenge the death of his son. He struggles to survive -- and does survive -- because he must; because he is overpowered by his drive. How is that drive manifested? Delightfully, not in terms of violence or hatred or rage (the emotion du jour, of our national dialogue). Throughout the film, Hugh is girded by flashbacks of his beatific wife and his loving son. At one point, she is even seen to be literally hovering above Glass, like a guardian angel. The implication may be simply that she watches over him; or that his faith in her drives him to continue; to endure. Perhaps, by dying, Glass has interfaced with a world beyond our own, and that connection with the other world permits him to endure. In other words, Glass survives because either his wife is guarding him, or he believes his wife is guarding him. Perhaps it is her memory which helps keep him alive. In terms of history, we know that Hugh Glass did survive his ordeal, though The Revenant no doubt takes liberties with the truth. Still this "based on a true story" veneer this is another factor that helps the film's gauntlet read as more believable and less fantastic. 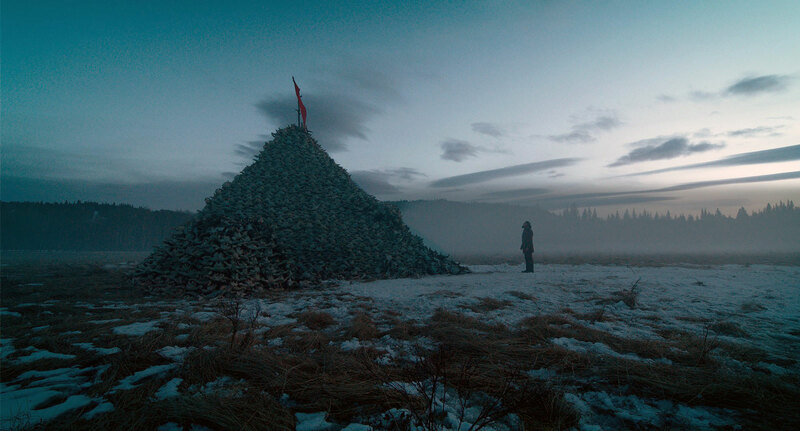 Many have also detected a powerful anti-capitalist statement in The Revenant. The film’s villain, Fitzgerald is often explicitly equated too, with material wealth. He wants to hold onto the boat. He wants to hold on to the pelts. He desires a reward for staying behind and taking care of Glass. His actions all originate with his ubiquitous desire for the acquisition of material wealth. 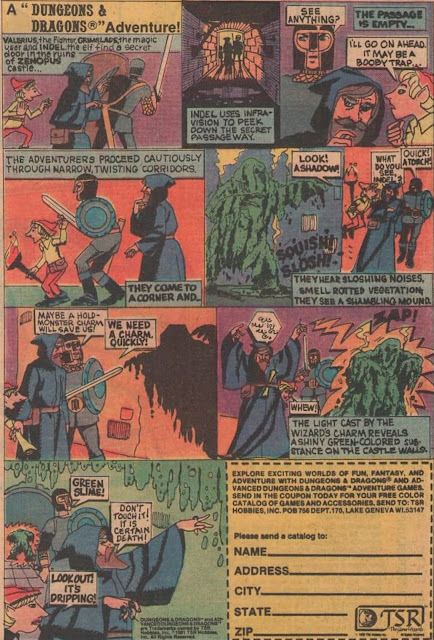 Glass's vision of the skull mountain showcases the logical ending of such overwhelming desire; a strip-mining of the environment and the animals. They will all die or be destroyed to sate our human need to "own" things. Soon, the only things we "own" will be a vast boneyard of the used up, the gutted. These visions, coupled with the anti-capitalist statement very strongly relate to Glass's mission of revenge. Whether the quest is to be rich, or to kill an enemy out of revenge, the endeavor is ultimately pointless. In the former case, you die alone, and you can't take money with you. Eventually, the world and resources around you will be destroyed, if everybody subscribes to the same philosophy. In the latter case, revenge will not bring back the dead. Contrarily, it may actually dishonor the dead. Both ideas -- material wealth and bloody revenge-- are, finally, bankrupt ones that run strongly against the principles we see espoused by the Pawnee, for example. In the last frames of the film, Glass looks up, in the direction of the camera. He has finally let go of revenge -- and just barely -- still lives. His expression is worth commenting on. He doesn't exactly break the fourth wall, but Glass certainly looks in the general direction of the camera. It's as if he's saying "now what?" The philosophy that has kept him alive, kept him moving, kept him warm in the frozen wasteland, even, is bankrupt. To what -- and whom -- shall he now devote his days? Glass must choose to change, and stop subscribing to the petty values of his culture. This idea is given voice early in the film, on another occasion as well. Early on, for example, there is a memorable visual transition from Glass’s cloudy breath to the clouds over a mountain range. This moment is not merely pretty, make no mistake. The two shots suggest that man, in settling the Americas, is becoming God over the planet. Man's breath and God’s breath are directly equated by the symbolism. Later, one can absolutely connect Glass’s decision to leave revenge to “God” to a reckoning that man should not settle the land, and should not progress to conquer the Americas, instead leaving its natural beauty to its original inhabitants. Whether you agree with this philosophical sentiment or not, the way that Inarritu forges the connection -- through a remarkable and symbolic visual transition -- is quite beautiful and quite powerful. This is precisely the kind of rich, illustrative symbolism that elevates the film beyond its action genre roots. In a certain sense, The Revenant really is a “prestige” horror or action movie, with a focus on violence, blood, and even gore. It is a film that makes a character run a deadly and harrowing gauntlet to achieve his goals. It also boasts a pro-social point, that revenge is not a worthy venture. The magic realism in the film places the dead (or revenants) on the same plane of existence with the livng. In some cases, the dead can signal to the rest of us that love doesn't die. In other examples -- such as the buffalo skull mountain -- we see signs of a dark, used-up future. In both cases, Inarritu's visuals seem to tell us one thing: that the dead don't want us, the shepherds of the Earth, to follow vain pursuits. 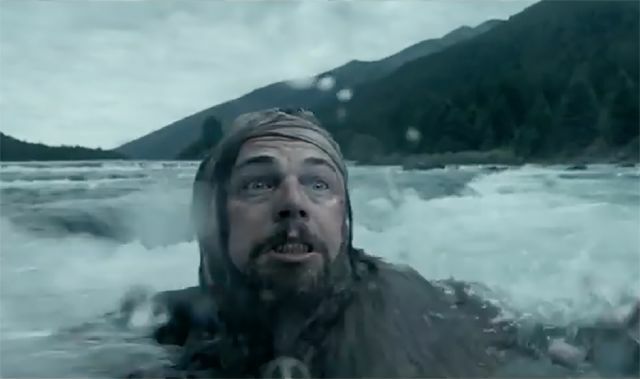 That's the message that the dead convey to the living with such haunting power in The Revenant.